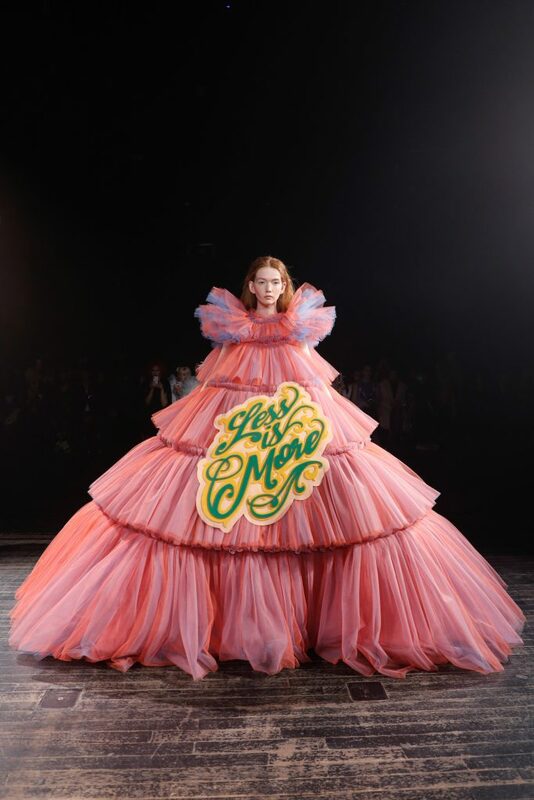 On Wednesday Viktor & Rolf surprised us with their latest couture collection titled “Fashion Statements”. 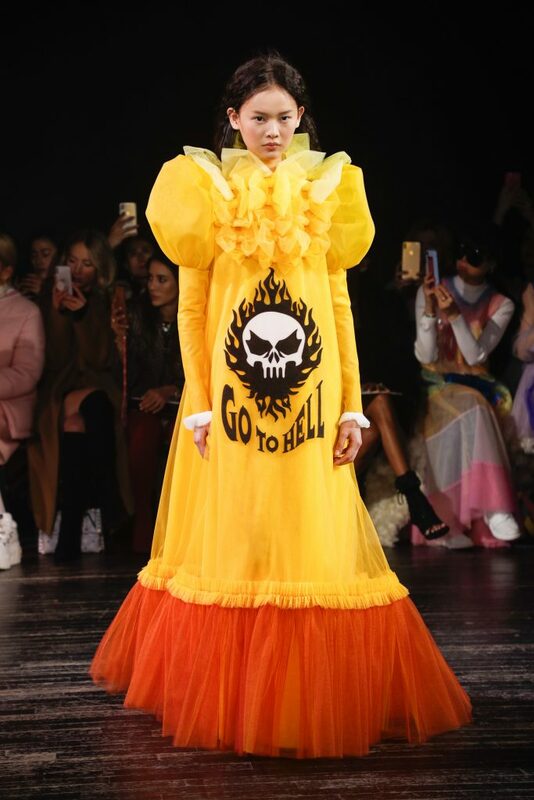 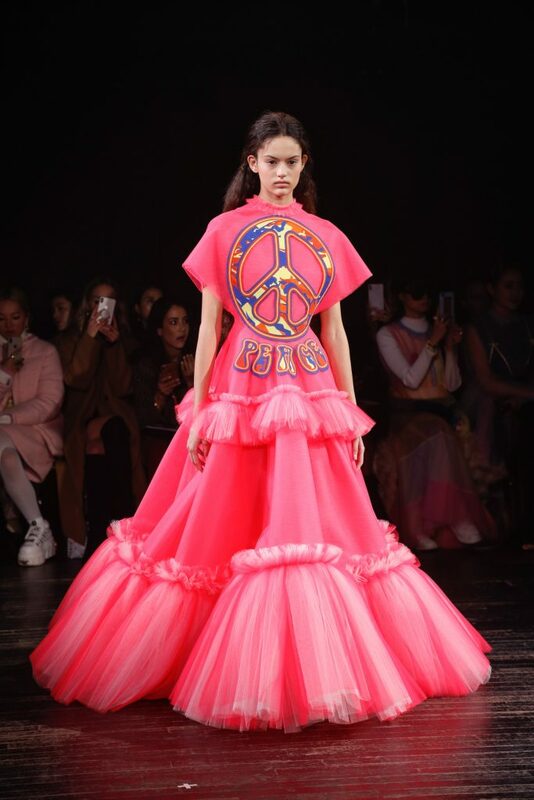 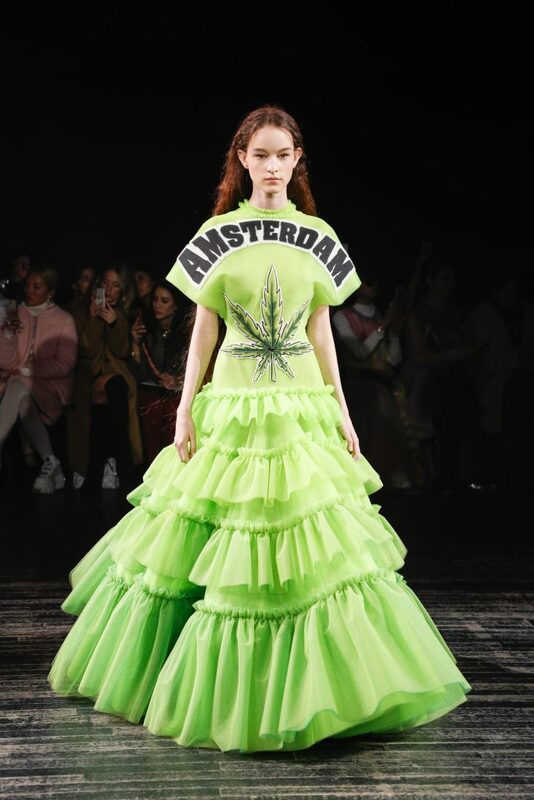 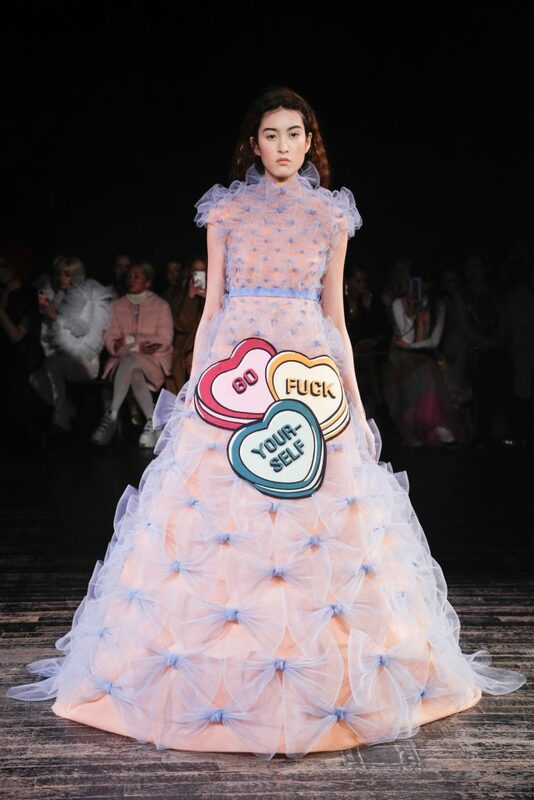 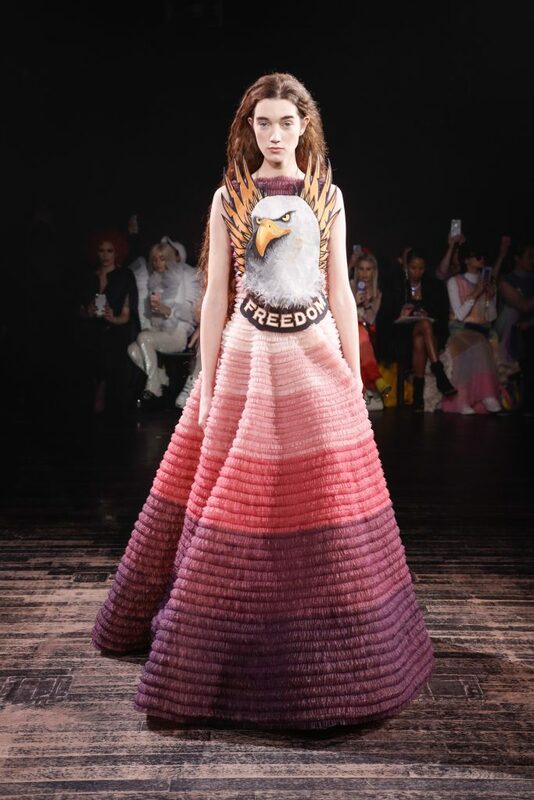 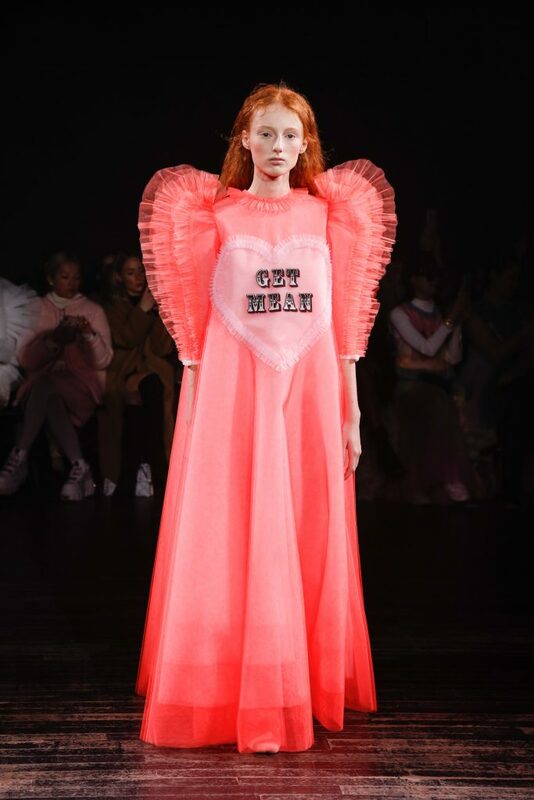 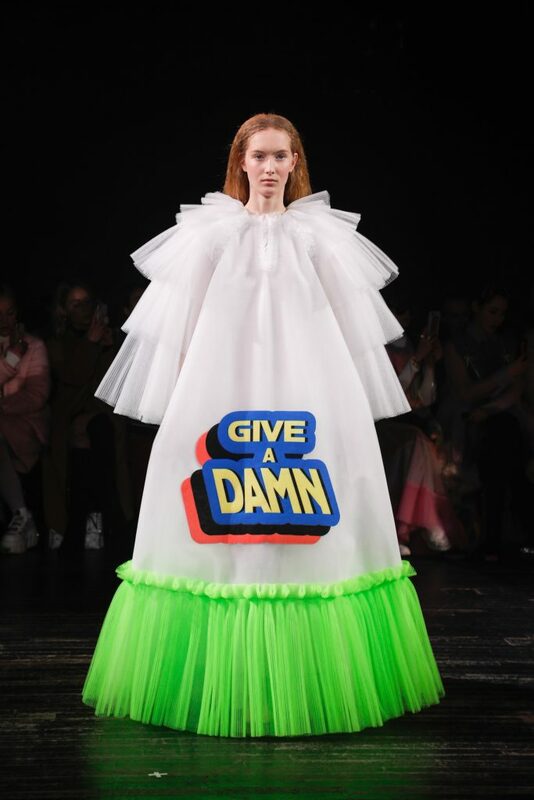 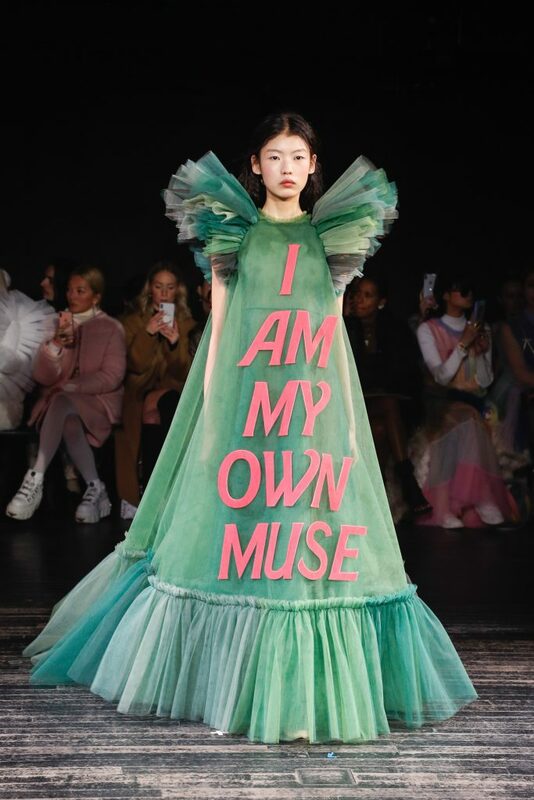 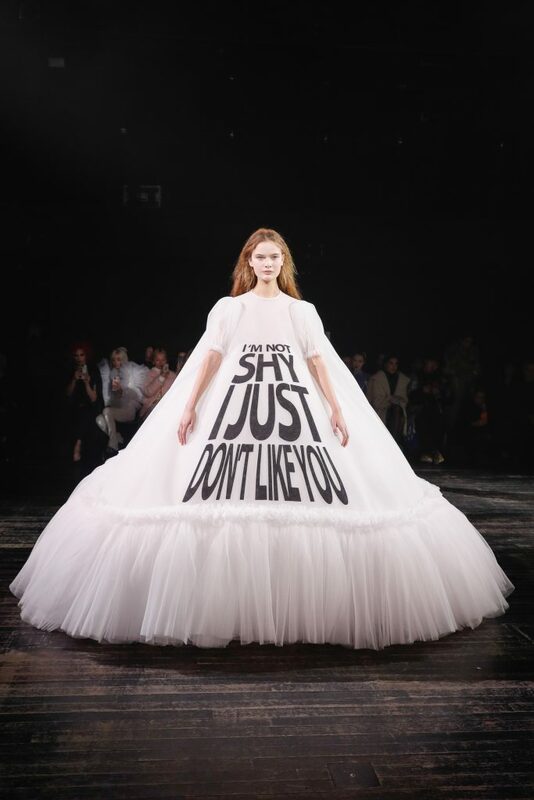 A collection filled with statements, fashion wise, but literally too, as all gowns had large quotes/memes added to them. 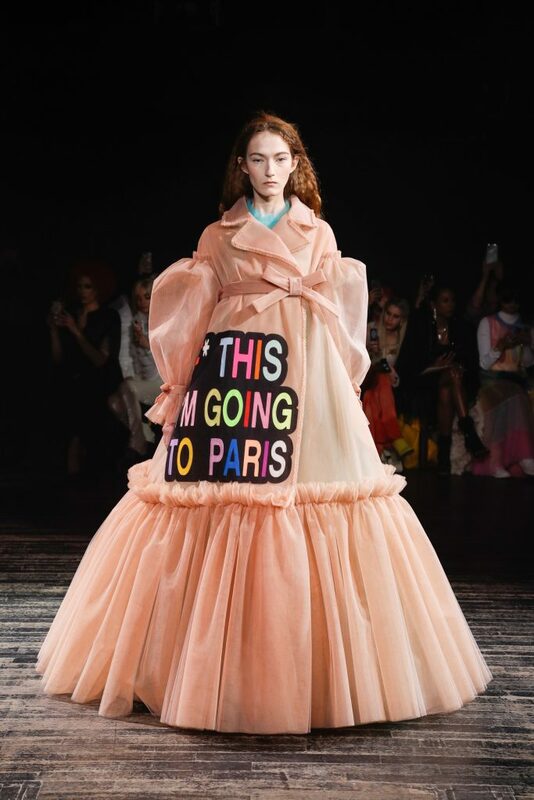 Classic quotes and statements that turned a smile on everyone’s faces. 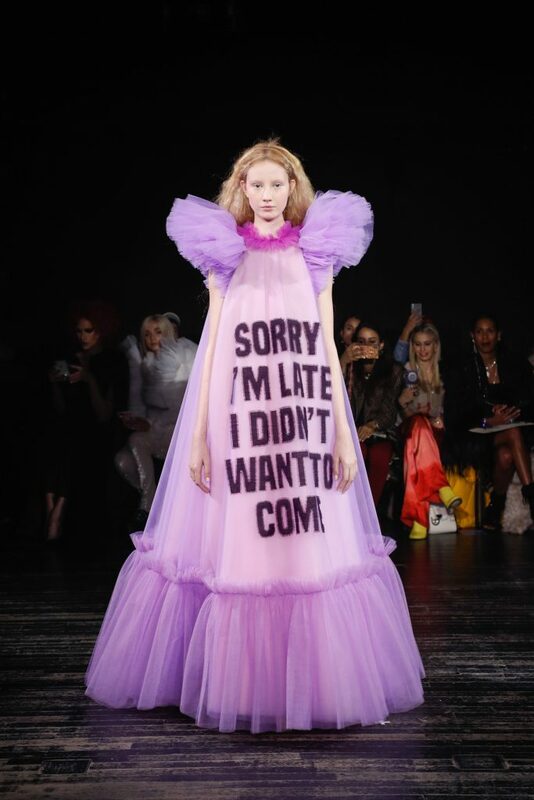 “I’m not shy I just don’t like you”, “F*ck this I’m going to Paris” or “Sorry I’m late I didn’t want to come”. 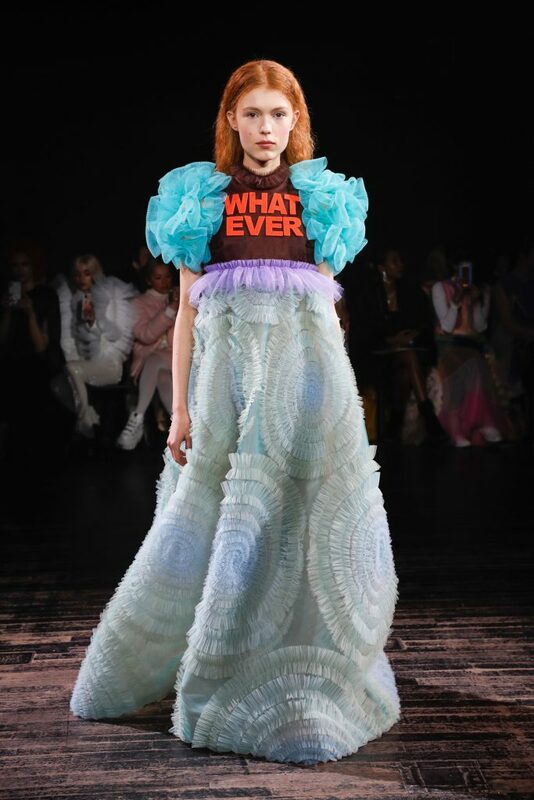 Things we say on a usually base and things we’d love to say out loud more often. 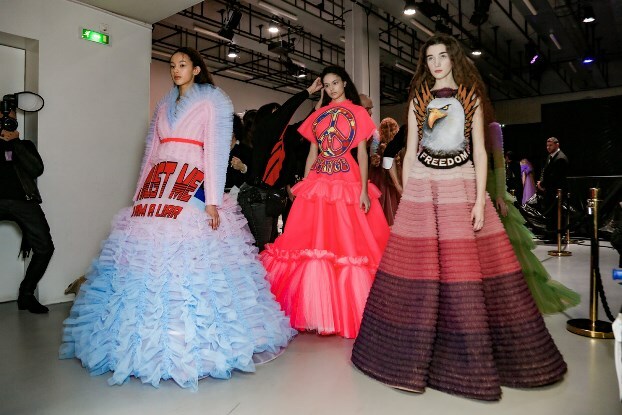 They were the extra touch to the 18 statement makers of couture gowns. 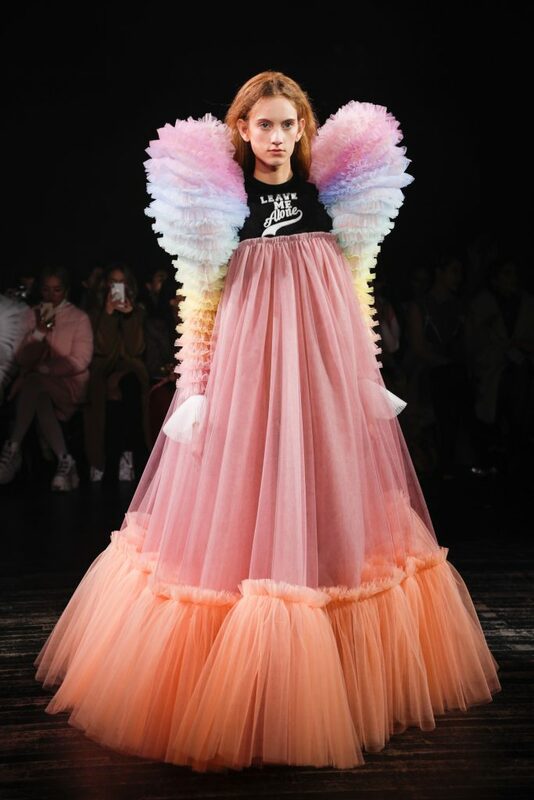 Bright colored and voluminous (which seems like a big understatement as the dresses really were larger than life) with layers and layers (and layers) of tulle). 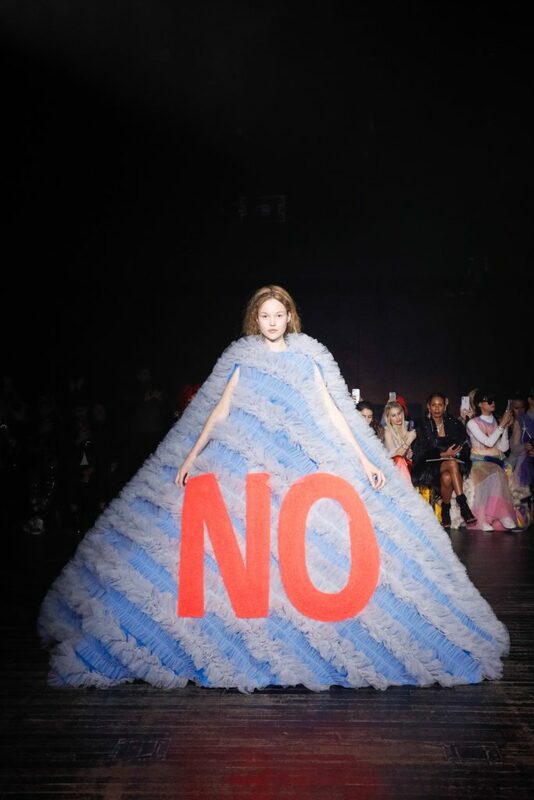 The good old “NO” we’ve seen pop up in many more collections was present too. 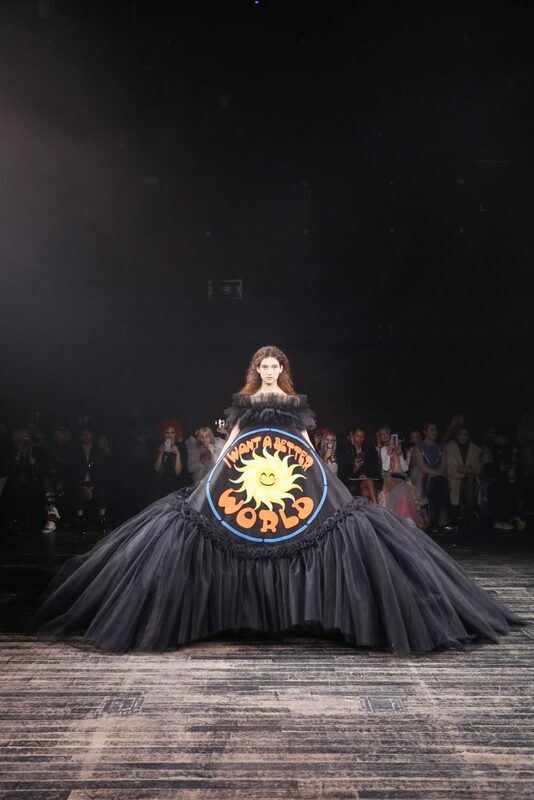 And the show concluded with a black gown reading “I want a better world”. 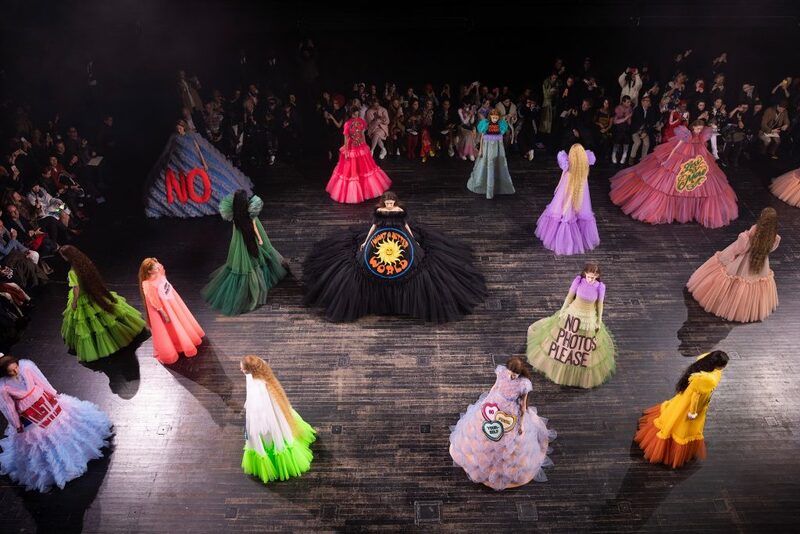 Bold, bright, artistic, fun, refreshing, impressive and very Viktor & Rolf. 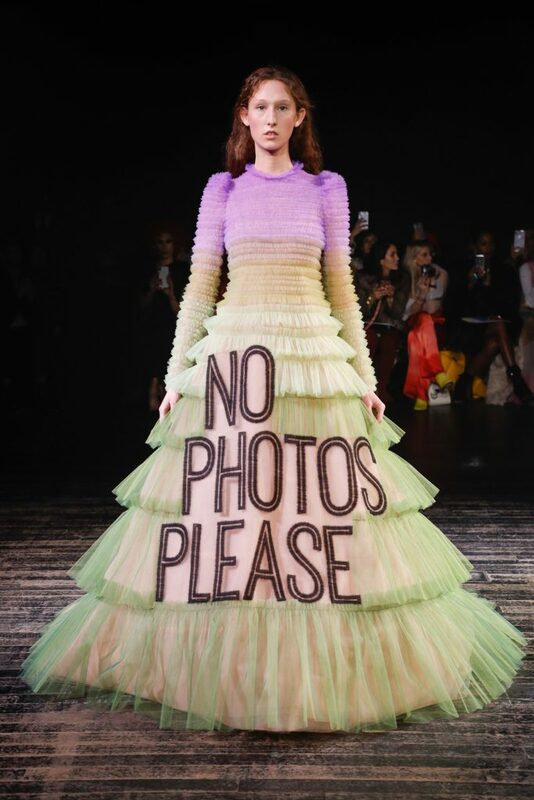 The “Less is more” that could be read a pink tulle gown just doesn’t apply to their own collections. 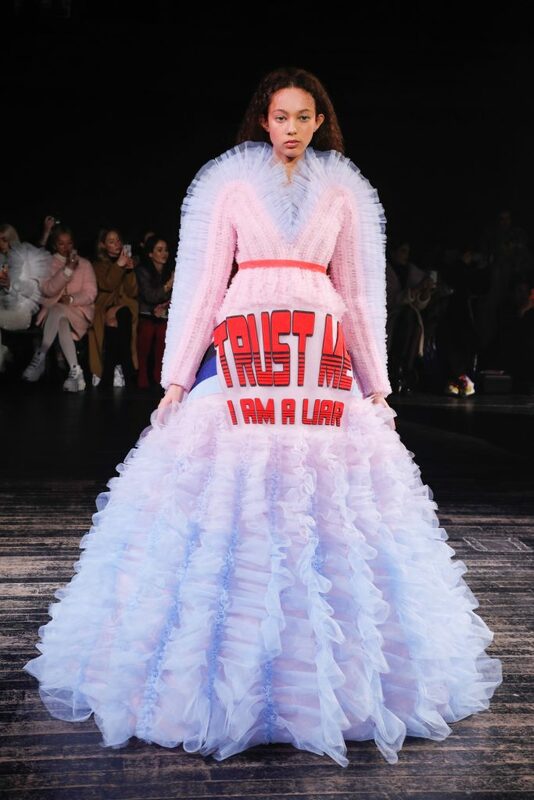 Great post this is really an awesome post very informative and helpful thank you for sharing.